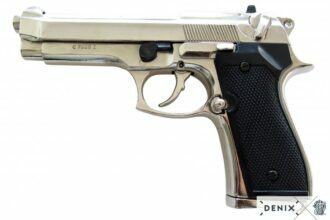 The Beretta 92 is semi-automatic pistols designed and manufactured by Beretta of Italy. The model 92 was designed in 1972 and production of many variants in different calibers continues today. 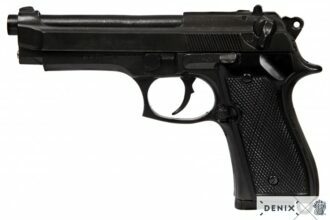 The United States military replaced the M1911A1 .45 ACP pistol in 1985 with the Beretta 92FS, designated as the M9. The Beretta 92 pistol evolved from earlier Beretta designs, most notably the M1923 and M1951. 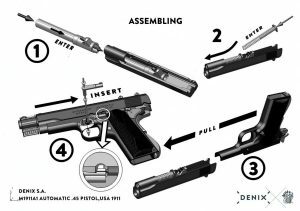 From the M1923 comes the open slide design, while the alloy frame and locking block barrel, originally from Walther P38, were first used in the M1951. 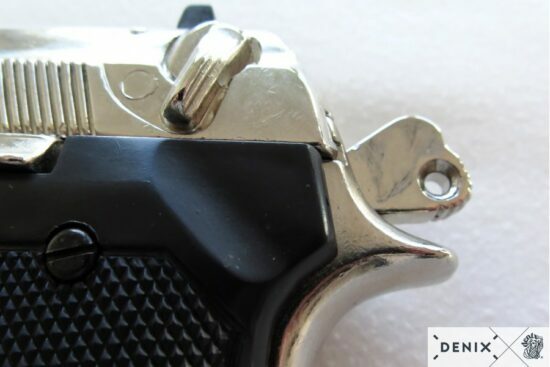 The grip angle and the front sight integrated with the slide were also common to earlier Beretta pistols. 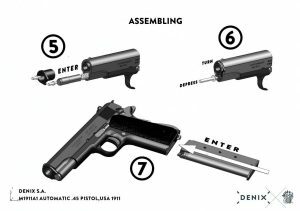 What were perhaps the Model 92’s two most important advanced design features had first appeared on its immediate predecessor, the 1974 .380 caliber Model 84. 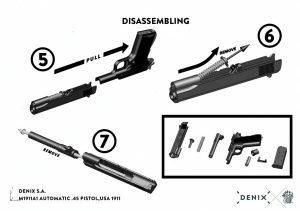 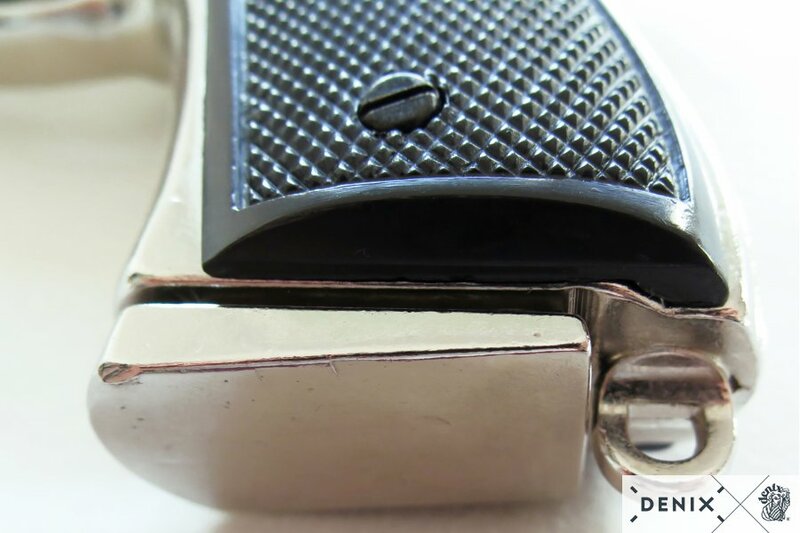 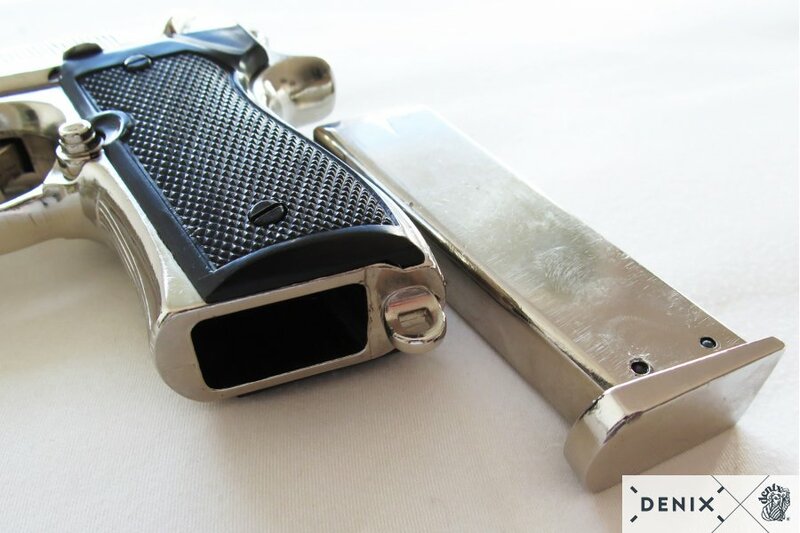 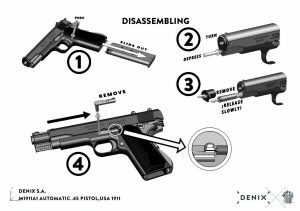 These improvements both involved the magazine, which featured direct feed; that is, there was no feed ramp between the magazine and the chamber (a Beretta innovation in pistols). In addition, the magazine was a “double-stacked” design, a feature originally introduced in 1935 on the Browning Hi-Power. 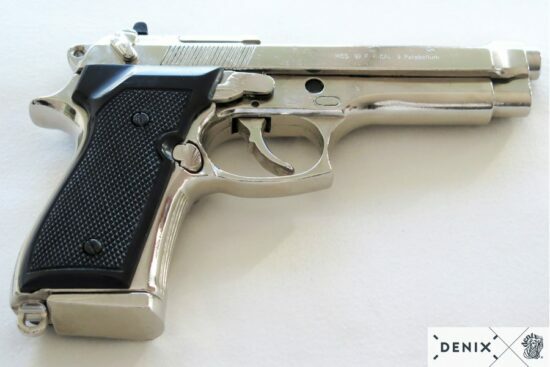 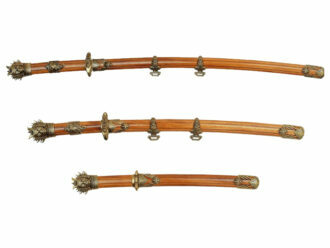 Carlo Beretta, Giuseppe Mazzetti and Vittorio Valle, all experienced firearms designers, contributed to the final design in 1975.